Posted by Vivian on 13 July 2012; This entry is filed under General. 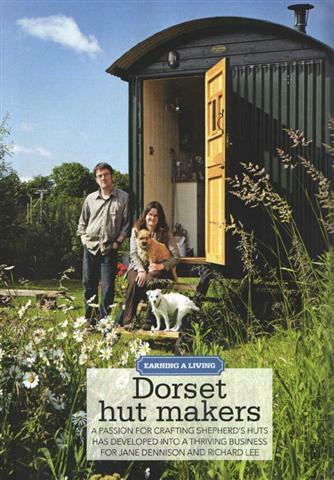 The latest issue of 'Country Homes & Interiors' magazine features an article about Jane Dennison and Richard Lee's business, Plankbridge Hutmakers. Located near Puddletown, the business produces Shepherd's Huts, and has grown considerably over the last few years. Richard and Jane have worked with a Dormen mentor for some time and have found their mentor Tony Garvey’s help extremely beneficial. ‘Having someone with so much experience visiting us each month to discuss the business has been absolutely invaluable,’ says Jane. If you would like to read the full article, click here. To visit the Plankbridge website, click here.